I know that two men are coming up the mountain, at this moment, including the boy from far away. I wonder what my grandson's face will look like.This is a boy in the skin of a man.I know the boy is innocent, that it's his family soul which is guilty. An old woman sits waiting in a village that clings to a Turkish mountainside, where the women weave rugs, make tea and keep blood secrets that span generations. Berna can see what others cannot, so her secrets are deeper and darker than most. It is time for her to tell her story, even though the man for whom her words are meant won't hear them. It is time for the truth to be told. Nearly a hundred years before, her father James had come to the village on the back of a donkey, gravely ill, rescued from the abandoned trenches of Gallipoli by a Turkish boy whose life he had earlier spared. James made his life there, never returning to Australia and never realising that his own father was indeed the near-mythical bushranger that the gossips had hinted at when he'd been a boy growing up in Beechworth. Now, as Berna waits, a young man from Melbourne approaches to visit his parents' village, against the vehement opposition of his cursed, tight-lipped grandfather. What is the astonishing story behind the dark deeds that connect the two men, unknown to each other and living almost a century apart? Jenny Ackland was born in Melbourne and has a background in primary teaching. She has worked in too many offices but only one themed restaurant; sold textbooks in a university bookshop; taught special education and English as a Foreign Language in Australia and overseas; and worked as a proofreader on magazines and freelance editor on technical publications. Now, she teaches sexuality and relationships education in primary and secondary schools. She's been blogging since 2005, and her short fiction has been listed in prestigious literary prizes and awards, such as the Bridport and Fish Prizes, as well as published in various literary magazines, including Visible Ink, The Big Issue, Kill Your Darlings and the Sleepers Almanac. Her first novel manuscript was listed in the HarperCollins Varuna Awards for Manuscript Development (withdrawn). She has travelled widely, and has spent several years living in Turkey and Japan, but now lives in Melbourne with her husband and their three teenaged children. 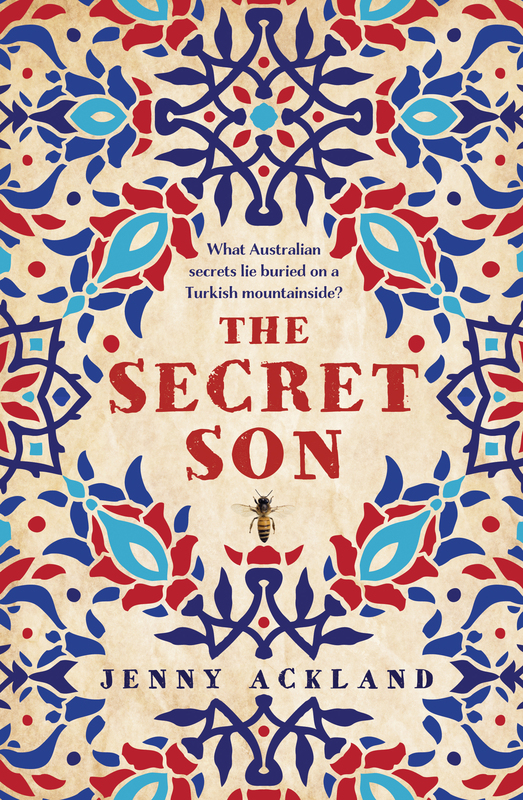 The Secret Son is her debut novel.